When I was in Nigeria I was able to attend a roaring, kicking, dancing, shouting Full Gospel Church. A line of singers took turns trumpeting their voices to celebrate Thanksgiving ... wait! ---- Thanksgiving?!?! Although the pilgrims and the Indians were never part of African history, I guess someone thought it was a good idea ... and so they celebrate Thanksgiving in Nigeria. In Thailand, a predominantly Buddhist country, the 2 years of mourning for their king are over and now Christmas is back in full swing --- giant Christmas trees, toys and festive decorations adorn the streets. In fact, white-skinned Santa Claus and his red-nosed reindeer dance with Christmas carols all over black Africa and yellow Asia. As in Nigeria, someone probably thought it would be a good idea ... and so they also celebrate Christmas. I think it's great --- people making lists, buying special gifts, taking time to be kind to one and all ... it's certainly good for the economy. But I am bothered that the significance of the occasion is lost in the merriment. 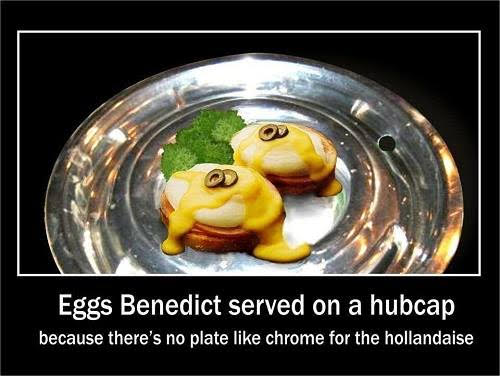 It's half-baked Christmas without the special sauce. Mama Kitchen, our cook in Nigeria, is a Christian. She said she accepted Christ late in life but I needed to explain the whole Gospel to her. Apparently she only got a part of the memo --- similar to what happened to Paul in Acts 19:1-7. I explained that salvation comes from faith in Christ alone and not by doing good works. It's not dependent on how good we are but dependent on who HE is. You should have seen the joy in her face when she grasped the concept. (Pardon me if this topic bothers you. I am not trying to proselytize but rather to make a point). When I go to the mall and see all the joyful faces through the glass windows I wonder if their joy could be a thousand times more if I cleaned their glass of understanding just a little bit more to visualize the full meaning of Christmas. Two thousand years ago, a child was born/ to revolutionize our understanding of God's love/ so that we could pass love on/ in order that no one would perish/ but instead have everlasting life. 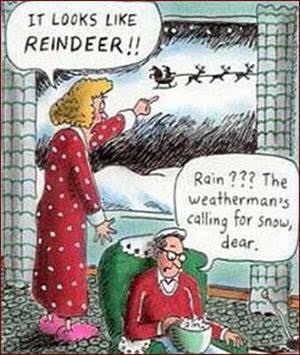 That one amazing gift from above was THE precursor of all our Christmas gifts! My wish for you, my friend, is that your Christmas will be full like Mama Kitchen's. TGIF people! Have a wonderful and blessed Merry Christmas! How ya doin'? Youse ready for da holidays? Here's some silly fun. Just a fun jingle jangle performance in retro WW II style. Even though I told myself I wouldn't cry, I couldn't help it. This is guaranteed to fill your tear ducts. Here's a little Christmas present for you. 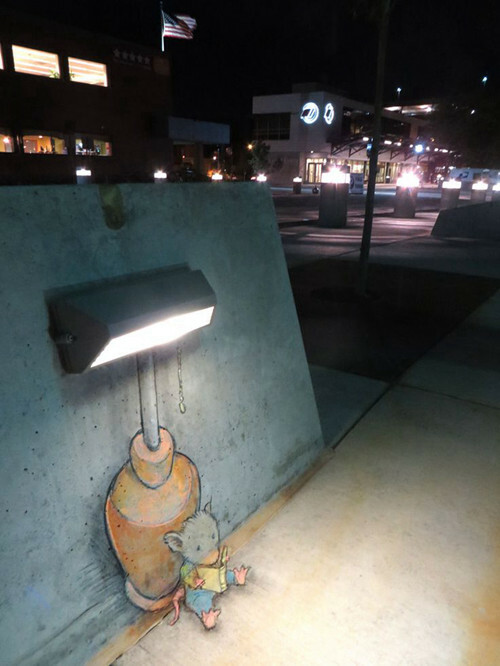 Click on the image and see what artist David Zinn does to the streets of Michigan. His delightful drawings will bring you back to your childhood. What a wonderful gift this Christmas edition is for all your subscribers. Nicely done! Thank you very much. Wishing you and the entire family a Merry and Blessed Christmas. You said- "salvation comes from faith in Christ alone and not by doing good works." Is this a Catholic teaching? Maybe I am wrong but I always thought we obey the ten commandments to be saved, we perform acts of mercy to go to heaven. Otherwise, why be good if it will not get us to Paradise? If we have faith in Christ and commit murder, are we saved by faith in Christ alone? I don't want to get into a debate, but I want to know what to believe. I read your email yesterday and I wanted to contemplate on how to best respond to it. You asked a very important question ... one that I asked a long time ago. The answer sounded simple yet was actually quite profound. I don't know if it is a Catholic teaching. The Catholic church has evolved so much and there are so many various decrees that I have lost track. What I do know is what it says in the Bible which is where I believe Catholic doctrines emanate from. Have you heard of the Roman Road? It is the explanation of the good news (the Gospel) using only verses taken from one book of the Bible --- Romans. The book of Romans is considered to be the most important book written by the apostle Paul because in it he covers all the essentials of the Gospel. Here is a good website that explains Romans Road. I too grew up thinking that the 10 commandments was the guideline to becoming a good person and adhering to it was our ticket to heaven. But it is just that --- a "guideline". If you really want to be strict about it, a lot of other rules can be found in the details. What I didn't realize is that the reason God gave us the 10 commandments was to show us the futility of our trying to follow all the laws perfectly by ourselves (after all no one is perfect) ... to show us that we needed a "savior." Enter: Jesus Christ --- God's one and only perfect son. He said "I am the way the truth and the life. No one (he is unique in this) comes to the father but through me." No mediators need apply. Jesus is God. He can handle direct calls. He does not need a secretary. You might have heard this before --- "Jesus paid the price for a debt he didn't owe, for a debt we couldn't pay." He said if we trust in his perfect sacrifice (the cross) --- this perfect gift (also known as faith) --- this is all we need to be "saved." Sounds too simple but it's true. We don't need to add to Christ's sacrifice to make it "more" complete. That would be assuming we have a better plan than God. Now this is what took me the longest to figure out: Faith is all we need. We do not need to be good or make sacrifices. Our good work exudes from our gratitude to Christ who took away all concerns of being good enough. It's the concept of passing it forward. Let that sink in. Analogy: We carry this humongous weight on our shoulder (trying to work out our salvation) on this shaky world and we fall and we fall deeper. Christ throws us a lifeline. We grab it and are saved. We are so thankful that from that point on, life changes and the weight of the world is lifted out. No more wondering about being good enough. Now it is trusting that Christ was good enough. His word is good enough. When you are happy, you naturally want everyone else to be happy. Being good is a result of faith. The donkey (faith) pulls the cart (good works). The cart does not go before the donkey. Your question about murder: If we are truly followers of Christ, why would we murder? We aren't perfect (never will be) but that would be so inconsistent. Why would we treat our fellow man (God's creation) that way? Keep in mind, there will always be exceptions and "pretenders" of the faith. I think I said too much. Maybe more than you wanted to know. Just know that I want the best for you. Like you, I am not into debates. I am not superior. I am not that smart. Rather, I am for clarity of my belief. Life has never been the same since I accepted Christ June, 1985. Did I make myself clear enough? May you have a wonderful Christmas Pete. May you grasp the love of Christ and His beautiful plan in its entirety. Thank you so much for this every week - it makes my heart full.